PTScientists, a privately-held venture based in Berlin, Germany is aiming for a historic lunar landing next year. 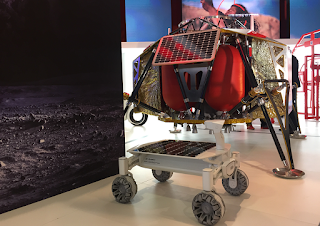 The plan calls for delivering two rovers, or up to 100 kg of payload, to the lunar surface using a SpaceX Falcon 9 rocket launched from Cape Canaveral, Florida. The mission will be to approach and study NASA's Apollo 17 lunar roving vehicle that was used by the last astronauts to walk on the Moon (Commander Eugene Cernan and Harrison Schmitt) to explore the Taurus-Littrow valley in December 1972. Nokia Bell Labs is developing a space-grade, 4G Ultra Compact Network that will use the 1800 MHz frequency band to communicate from the landing site to the remote rovers. Streaming HD video will be captured by the rovers and retransmitted back to Mission Control in Berlin. The networking gear will weigh less than one kilo. Audi will supply the rovers. 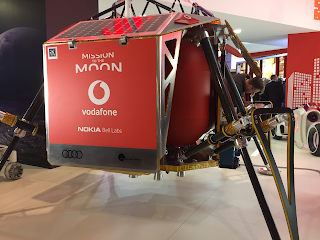 Vodafone said it is thrilled to deploy a 4G mobile network on the moon. 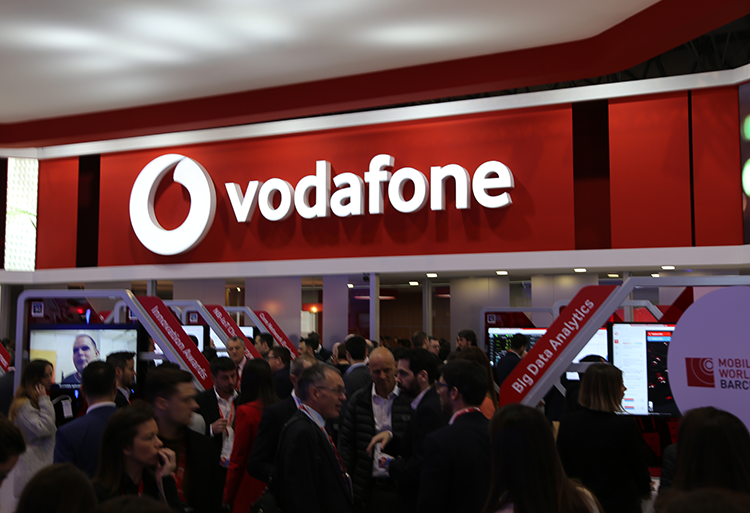 At Mobile World Congress 2018, Huawei is showcasing the first FDD full-band 4x4 MIMO antenna - a designed developed for TIM, the Italian mobile operator. The antenna uses Huawei's patented AirType Dipole and AirMax Feeding Network technologies to support 4x4 MIMO on all of TIM's sub-3 GHz frequency bands in a single sector and a single antenna, including 700 MHz, 800 MHz, 900 MHz, 1400 MHz, 1800 MHz, 2100 MHz and 2600 MHz, while leaving room for one new active antenna in C band and mmWave. Its compact size - a 6-array, side-by-side design, only 469 mm wide - and excellent wind load allow for a 15% increase in efficiency and rapid deployment of best-experience networks. Huawei said this innovation will help TIM to maximize site value while also favoring site sharing. Giovanni Ferigo, Chief Technology Officer at TIM, comments: "TIM is dedicated to technological innovation for better network capacity and user experience. We worked together with Huawei to develop this FDD full-band 4x4 MIMO antenna, which helps us better address antenna deployment issues and paves the way for 5G." Mr. Joyee Zhang, President of Huawei Wireless Network Antenna Business Unit, says: "We propose a 1+1 Antenna Modernization, Ready for 5G concept. This concept uses one passive antenna for 4x4 MIMO on all sub-3 GHz frequency bands and one antenna for C band and mmWave. 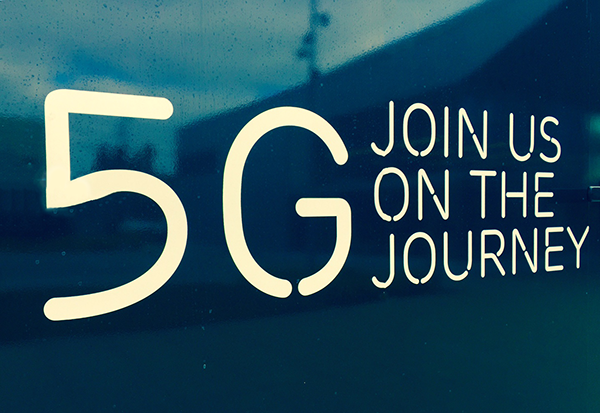 The FDD full-band 4x4 MIMO antenna jointly developed with TIM will help TIM as well as other operators rapidly deploy 5G-oriented networks." 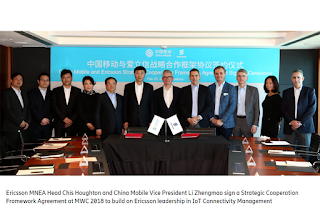 Ericsson is supplying its radio access platforms for T-Mobile's 5G rollout in U.S. cities using 600 MHz and 28 and 39 millimeter-wave (mmWave) spectrum. Financial terms were not disclosed. Specifically, T-Mobile is building out 5G in New York, Los Angeles and Las Vegas this year utilizing Ericson's 5G New Radio (NR) radios and baseband. At this week's Mobile World Congress, 6WIND is demonstrating high-performance vRouter use cases for white box networking with partners Advantech and Cloudify. vRouter: 6WIND Turbo Router and Turbo IPsec are routing and IPsec VPN software network appliances to be deployed in bare metal environments or as Virtual Machines (VMs) on COTS servers with licenses for 1 – 100G throughput in a single software instance. COTS Server: Advantech's SKY-8101 offers an innovative white box networking hardware infrastructure in a short depth, 1RU single-socket Intel Xeon Scalable Processor server with a wide choice of GbE, 10GbE & 40GbE connectivity. 6WIND's vRouter software appliances are deployed as VMs and scale linearly with the assigned processor cores. Management & Orchestration: Cloudify Manager is serving the VNF Manager and NFV Orchestrator functions for the 6WIND vRouter. 6WIND's virtual appliances are instantiated on OpenStack, and OSPF routing and IPsec VPN tunnels are configured, deployed and orchestrated by Cloudify Manager with TOSCA based templates. The solution is then monitored by Grafana out of the box or any other pluggable monitoring platform of choice. "The future of networking is high-performance software on white box servers, just as we've already seen with examples such as cell phones and computers," said Eric Carmès, Founder and CEO of 6WIND. "The combination of 6WIND, Advantech and Cloudify brings the promise of white box networking with a ready-to-use vRouter that can displace expensive networking hardware to save Network Operator budgets today." "Universal CPE has successfully disrupted the customer edge with cost-saving SD-WAN and VNF rollouts by service providers around the globe," said Paul Stevens, Marketing Director, Advantech Networks and Communications Group. 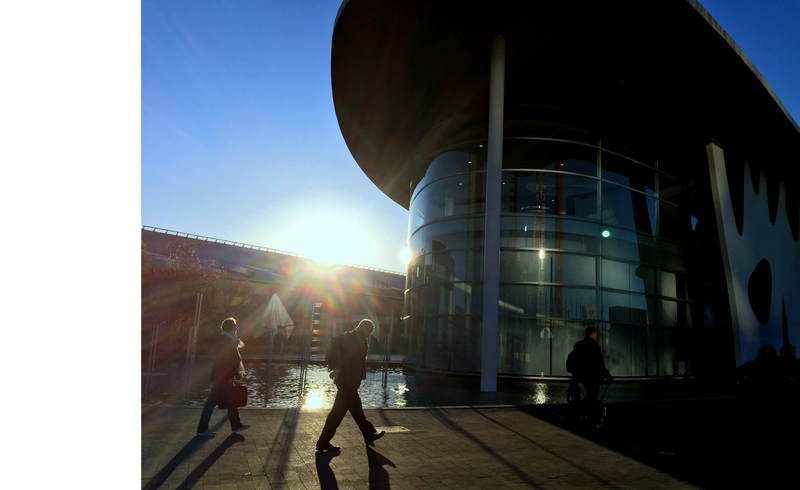 "In the same vein, we expect this next wave of white box solutions to revolutionize the Provider Edge." "Building an ecosystem of interoperability is the only way to open up a market that has been a black box of closed technology to date," said Sebastian Grabski, Solution Architect at Cloudify. "Cloudify's goal through this partnership is to achieve both openness & interoperability, as well as greater flexibility. Through open source and open standards with TOSCA - it is now possible for organizations to build best of breed networking stacks with cutting edge technology like 6WIND & Advantech, with VNF management and orchestration across clouds and environments more rapidly and economically." 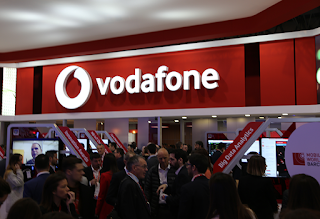 To date, 23 mobile operators have commercially launched 41 Mobile IoT networks worldwide across both NB-IoT and LTE-M, according to the GSMA. 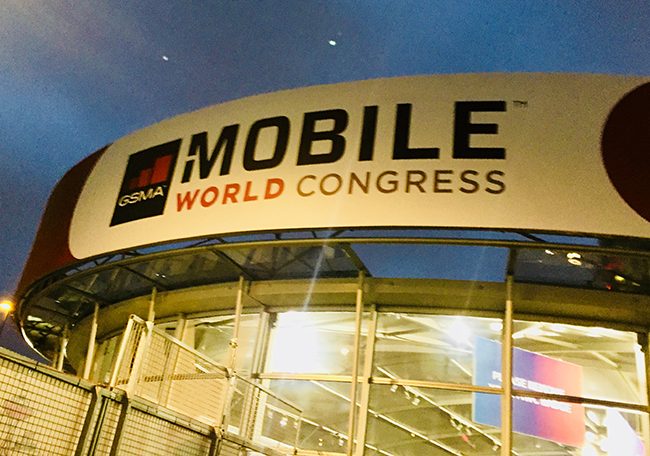 The GSMA's Mobile IoT Innovators Community has grown to include 34 IoT Labs and an expanding community of over 800 organisations. According to GSMA Intelligence forecasts, by 2025 there will be 3.1 billion cellular IoT connections, including 1.8 billion licensed LPWA connections. Mist, a start-up based in Cupertino, California. raised $46 million in an unsubscribed C round of funding for its self-learning wireless networks powered by Artificial Intelligence (AI). 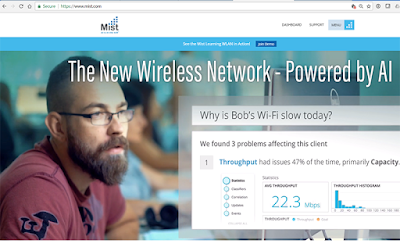 Mist says its wireless platform, which is designed specifically for the Smart Device era, makes Wi-Fi predictable, reliable and measurable by providing visibility into the user experience and by replacing time-consuming manual IT tasks with proactive automation. The funding round was led by Kleiner Perkins, with additional funding from Lightspeed Venture Partners, Norwest Venture Partners, GV (formerly Google Ventures), NTT DOCOMO Ventures, and Dimension Data. This brings total funding in the company to approximately $88 million. In addition, Mamoon Hamid (General Partner at Kleiner Perkins) and Rob Lopez (Group Executive – Networking and Data Centre at Dimension Data) join Mist as board observers. Qualcomm confirmed that it will begin sampling its Snapdragon 700 Mobile Platform Series in the first half of this year. The chipset promises features and performance previously only available in the premium Snapdragon 800 Mobile Platform Series. These capabilities include on-device AI supported by the Qualcomm Artificial Intelligence (AI) Engine, and improvements to camera, device performance and power. "The Snapdragon 700 Mobile Platform Series will bring premium tier technologies and features into more affordable devices, something our global OEM customers and consumers are demanding," said Alex Katouzian, senior vice president and general manager, mobile, Qualcomm Technologies. 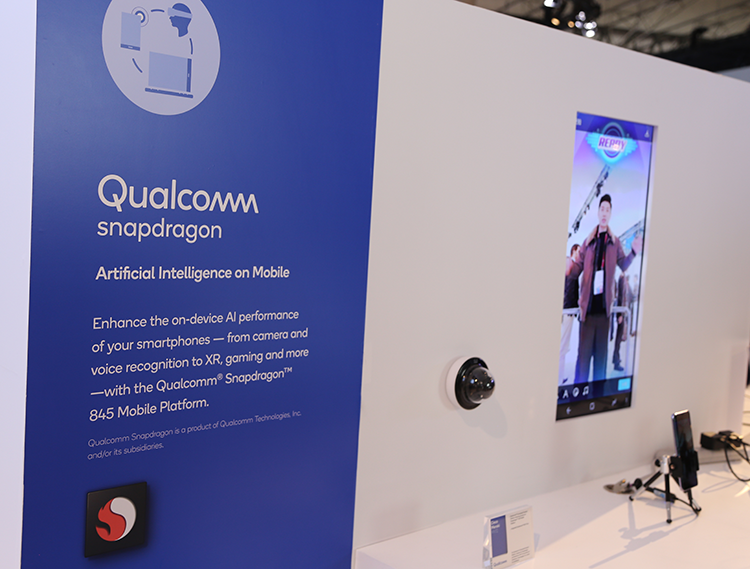 "From our cutting-edge Qualcomm AI Engine to superior camera, device performance and power, the Snapdragon 700 Series is optimized to support the experiences consumers have come to expect from the most advanced mobile devices at a lower price point." 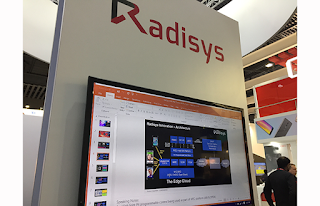 Orange Labs Networks has integrated Radisys’ MediaEngine virtualized Media Resource Function (vMRF) in the ONAP (Open Network Automation Platform) “Amsterdam” release. This paves the way for additional VNF integrations with ONAP, accelerating commercial deployments. The overall solution includes complete cost-effective vMRF lifecycle management of ONAP infrastructure, including elastic scaling, policy-driven controls, and zero-touch automation and management, significantly reducing time-to-market and OpEx.